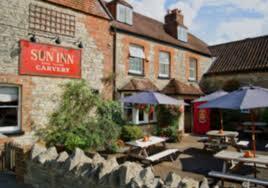 Please join us for our March Business Networking Breakfast on Tuesday, 13th March 2018 from 7.45am to 9.00am at The Sun Inn, Lower Burton, Dorchester, Dorset DT2 7RZ. Our speaker will be Martin Hamilton, Strategic Director for Dorset Councils Partnership. Martin will speak about the proposed developments planned for Dorchester over the next few years, outlining how the town could look in the future and some of the challenges it will face. There will also be a raffle of the prizes unclaimed from the December breakfast so please bring cash. A presentation of £250 each plus any additional cash raised from the morning’s raffle will be awarded to Dorset County Hospital Charity and the Dorchester Opportunity Group from the money raised from the President’s breakfast raffle at Athelhampton. A huge thanks to everyone that came and supported the event through donation of prizes and buying raffle tickets. Places are limited for this event, so early booking is recommended. Places will be allocated on a first-come basis. Any booking not cancelled by 12pm on Friday, 2nd March 2018 will still need to be paid. A £2 per person surcharge will be payable for all bookings not paid via online booking. *Pay on the Day reservation does not secure your booking. Priority will be given to those that have paid. You will be notified once bookings have closed if your reservation is confirmed. Non-members can attend 2 events to trial before committing to join. Please ensure names of all attendees are included on your order form along with any special dietary requirements in the notes field.